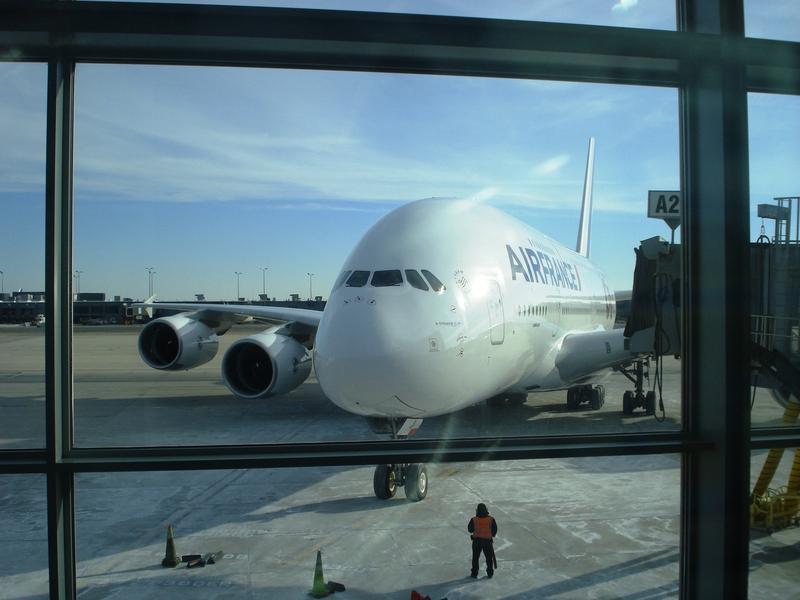 Due to the improvement in my work, in February 2014 I spent few weeks in the United States. 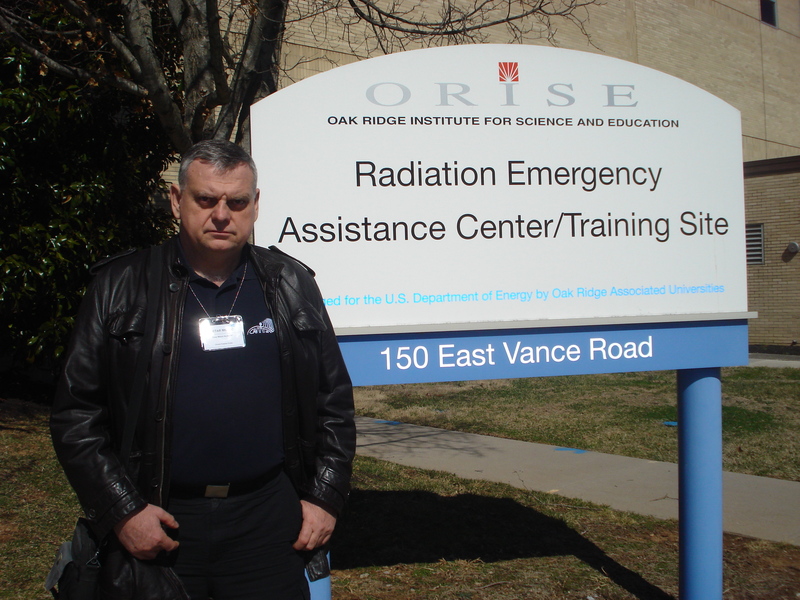 The training was held in Oak Ridge, in the central part of the state of Tennessee. The town was founded in 1943. Before that, there was only wasteland there with two abandoned farms, mud and wildness. In only few months a new city was built, surrounded by barbed wire for approximately 70,000 inhabitants. They all worked together on only one product as a part of the Manhattan Project. After a year and a half of work, the product was made and was tested in the desert in New Mexico. In August 1945 the two final products were used for Japanese cities of Hiroshima and Nagasaki. After the end of the Second World War, the greatest part of the city was abandoned, but many institutions remained dealing with radiation protection in the use of nuclear systems and products. Because there is no possibility to make use of free time in Oak Ridge, as it is a very small town, I contacted the manager of the Tennessee Contest Group, Ned Swartz K1GU, with whom I often spoke during various contests. Ned, K1GU met me at the airport in Knoxville and helped me at my arrival and with renting the car. TCG does not have its own premises so the TCG members meet once a month in one of the restaurants. Ned agreed with the other members, that the next meeting TCG would be hold during my stay in Oak Ridge. A few days after my arrival, there was the meeting of the most active members of the TCG. The members of the group live in the central and eastern parts of Tennessee, so that the distances among them are sometimes up to 100 km. 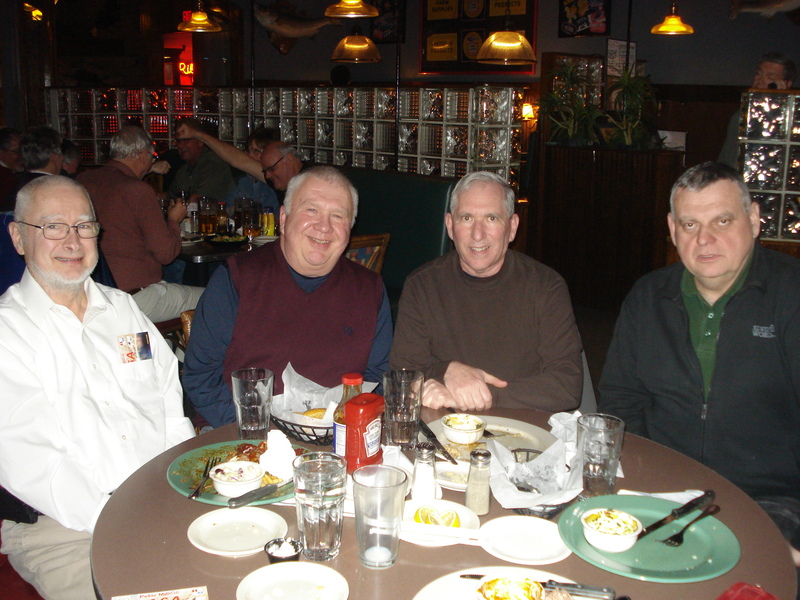 Therefore the activity of TCG, as a member of the ARRL, consists of occasional gatherings. Those are mostly dinners, during which the organization of the ARRL actions is negotiated, such as the communication system in the event of an emergency, as well as occasional activities, such as working under special ARRL call sign. 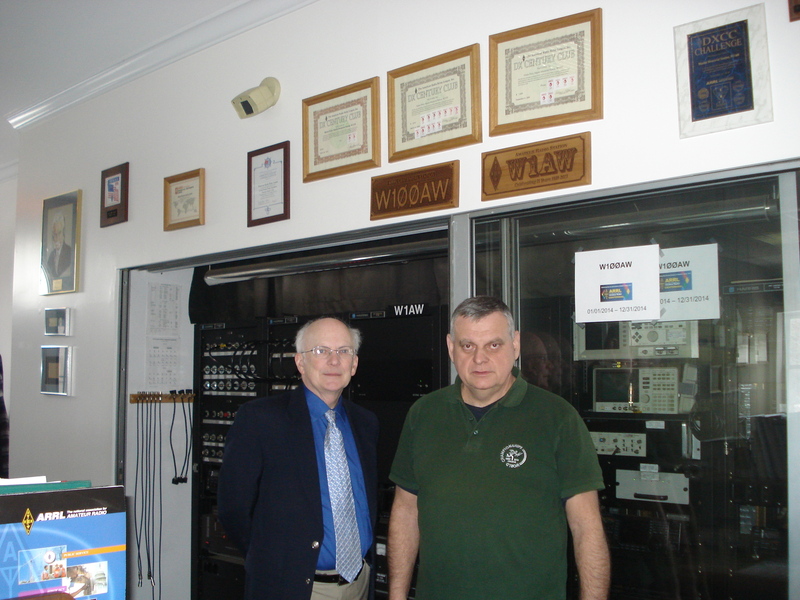 This year, they worked as W1AW / 4 on the occasion of the 100th anniversary of the ARRL. Further activities of the group are working in most of the world contests. During the dinner on the floating restaurant on the Tennessee River, in the pleasant company of John N8UM, Patrick W4PV and Ned K1GU we exchanged QSL cards and many experiences in the TCG organization and work in contests. Training was about to finish on Friday, 28th of February at app.12, and the contest ARRL SSB began at 7 pm . Therefore I contacted our friend Charlie NF4A. 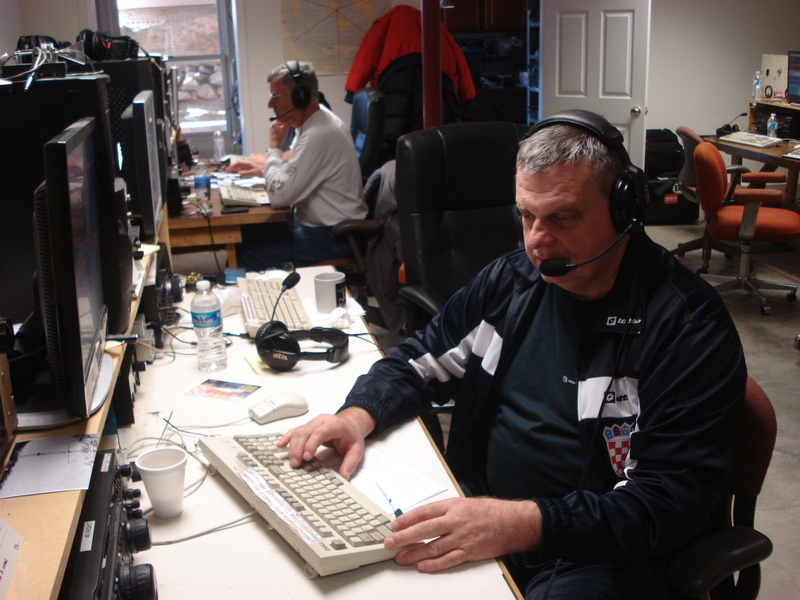 Almost every year Charlie comes to Zagreb to work with us, in our 9A1A team ARRL SSB contest. I asked him to check if there was any possibility for me to visit one of the stronger teams during the ARRL contests. He sent an e – mail to his friend Tim K3LR, however Tim replied, that he could not receive visitors during the competition, because he had to concentrate on the fight against his fierce competitors, the W3LPL team. Therefore I contacted directly Frank Donovan W3LPL, whom I never met before, but we made many QSO in contests. He replied immediately, not only that I was welcome as a guest, but asked me to come immediately from Tennessee, to have a short rest and to do the whole ARRL SSB contest with the W3LPL team. I accepted his kind invitation, and as soon as I finished my training at 12 o’clock, went to the W3LPL team. The distance between Oak Ridge and Glenwood, Maryland, Frank’s W3LPL house is app. 900 km. I started from Tennessee over Virginia and I came to Maryland. Although I drove exclusively on the highway Interstate – 81, I arrived to Frank’s W3LPL house exactly at 8 pm because of the speed limits. The competition ARRL SSB was already in course, so immediately upon my arrival and short greeting the whole team I started to work as a second operator at 160 meters. Band was not open, so we made just a few QSO. After that I went to sleep, because Frank chose me to do the whole contest at 15 meters. Two operators work at the station W3LPL on all bands in the Multi / Multi category. There are two radio stations, two computers, a linear amplifier and controls for rotating towers or antennas on each table for each band. The right operator is the main one and his frequency can be seen by everyone on the network. The left operator collects multipliers and everything else that has not been done. The other operator is receiving the whole band all the time, even when the main station transmits. At the time of transmission of the main station, the entrance receiver automatically switches to the secondary antenna. These auxiliary antennas are physically sufficiently away, so there is no danger to the input of the receiver, or lot of noise, only a dozen kHz from the signals of the main station. If one wants to do a multiplier, it is enough to press the pedal and the second station goes into transmission. In that moment the main station turns off, to prevent the transmission. It takes a little time to for the operator get used to this, but I adapted myself very quickly to the system. The first few hours on Saturday morning, I worked as a second operator and picked up a lot of multipliers, until I got used to their system. 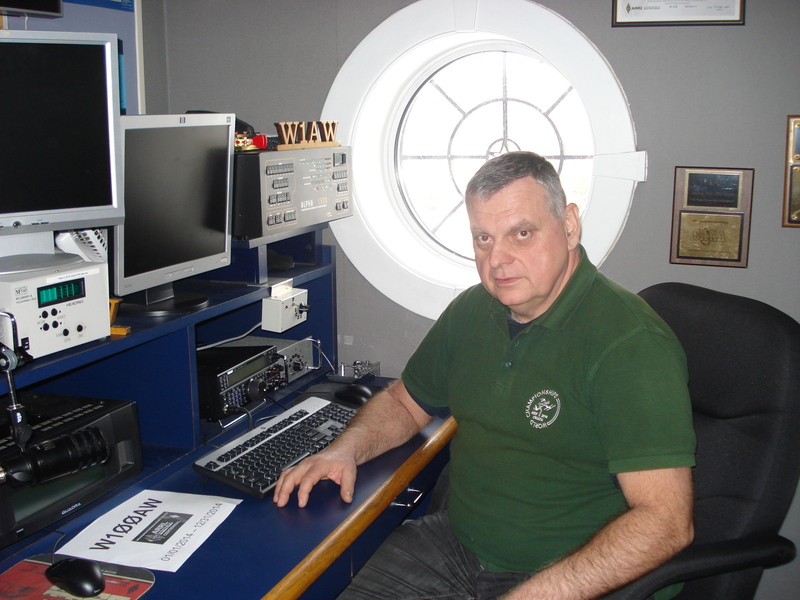 Then, I worked as the main operator in the 15m, precisely at 21 003.00 kHz until the end of the competition. K3LR pushed himself below us at 21 000,5 kHz , so I had quite a lot interferences. It was a great pleasure to work in that contest. At 15m, we made 2199 QSO`s and 137 multipliers . 9A5W and 9A1UN were the strongest stations from Europe. Also the rest of Croatian operators had very good signals. On Sunday morning before the opening of the band, I heard and talked to 9A5W at 21 MHz. Half an hour later I started to work the first stations from Europe. The overall result was the best the team W3LPL ever achieved in the ARRL SSB contests, but still it was not enough for first place in the taken by K3LR. Frank works with linear amplifiers that he made app. 40 years ago, using one tube 3-1000Z. There are two rectifiers, one of which powers four amplifiers, and the other one two amps. In the basements of his large and beautiful house, he arranged a room with 6 tables for 6 bands, small kitchen, sanitary space and a dormitory with 8 beds. Most operators of M / M work come from outside Baltimore. The team gathers before the contest and prepares all bans with stations. After that, they all pick up their things and go home because in USA, competition ends at 7 pm local time (in Croatia contest ends in Monday 1 am). They mostly work with FT1000MP, K3 ELECRAFT and FTDX 5,000. 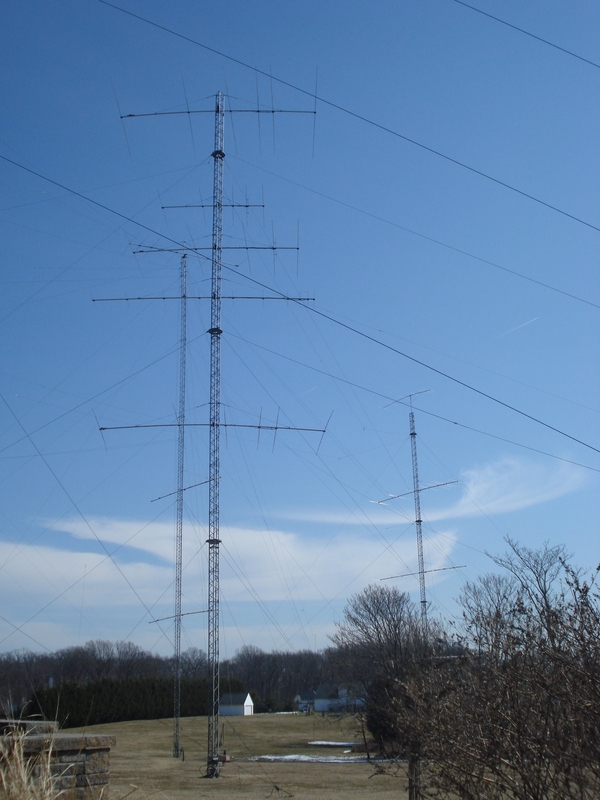 During 20 years of work, Frank built many towers up to 50m high, some of which are rotating together with all the antennas on it, with many Yagi antennas for all bands. For lower bands , he has some dipoles and system of four dipoles for 160m band. For receiving, he uses beverage antennas for all the bands (as auxiliary antenna for the transmission time) in the main directions. He also uses the system of four vertical antennas for the receiving, which can be routed by phasing. It has proved, that the system works better than the 160m beverage antennas. I was warmly welcomed by the whole team and I adapted myself immediately. It was a real pleasure to working in the competition. To work with one of the strongest U.S. stations is really a lifetime experience. Although I have been using for years the same or similar radio station (FT 1000MP and K3 ELECRAFT) and the same program (Win – Test ), as well as similar antenna systems , working on the other side of the Atlantic has a special charm. It is somehow strange to work Europe, Japan and the rest of the world in the ARRL contest. And to give for exchange in the competition the state of the U.S. instead of power. I worked with many stations from Croatia, which was a great pleasure for me. It was the first time that I could hear the sound of our signal from 9A1A (9A5W) on the other side of the Ocean. I made some video and audio recordings of several our stations ( 9A5W , 9A5BWW , 9A1UN ) and I published them on YouTube . As a big snowstorm was rapidly approaching, I went to my hotel in Baltimore, about fifty kilometers away, driving in a heavy rain. I did not want to remain blocked with Frank for few days, because I had to drive another 300 km to the north, to New York City. The next the morning, I really found myself blocked in Baltimore because of 20 cm of snow and the temperatures of app.15°C below zero . However, already in the afternoon the roads in Baltimore were cleared so I could have a short walk around the downtown. The next morning, I went to New York. I planned to spend a few days in New York, so I had could accept the invitation of Dave Sumner K1ZZ , Chief Executive Officer of the ARRL and former Secretary of IARU to visit him. 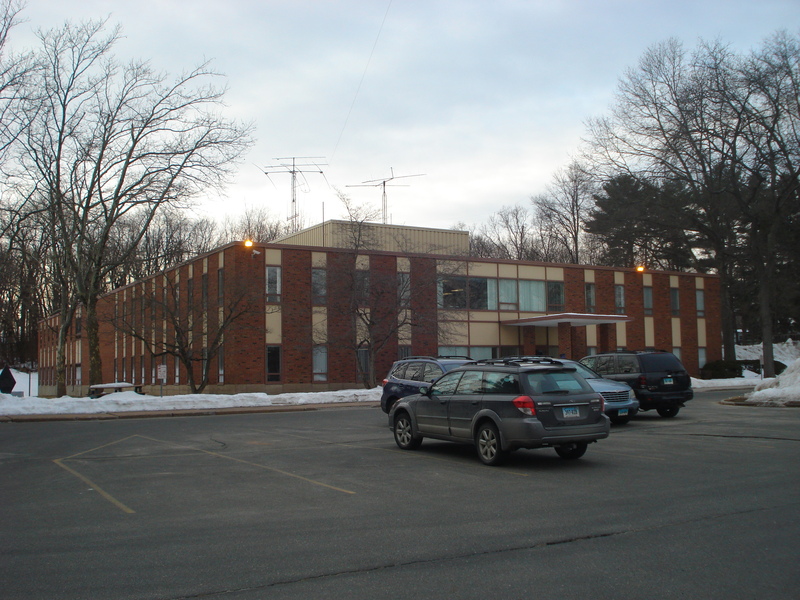 ARRL HQ , the American Radio amateur Association is located in the town of Newington , Connecticut , app. 200 km to the north of New York City. I left Manhattan early in the morning driving on the northern highway through Bronx, New Haven to Newington. The Chief Executive Officer of the ARRL HQ , Dave Sumner K1ZZ asked me to come to the ARRL premises in the morning, so we could have enough time to visit the ARRL and to talk. 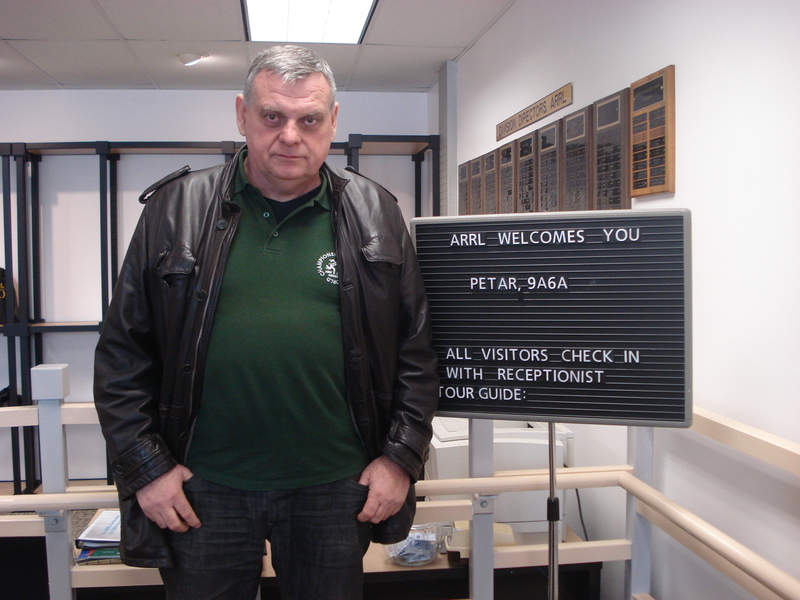 I was surprised to see a plaque with the inscription: „Welcome Peter 9A6A“ at the entrance of ARRL HQ. Dave invited me in his office. As he often visits our country, last year he and his wife spent their holidays in Murter, and he visited the site of the 9A1A contest team, Dave is rather familiar with the situation in this part of the world. In a long conversation we exchanged a lot of information about the state of radio amateur in Croatia, in HRS, and in this part of the world. We discussed the situation with the Z6 and the recognition of Kosovo by the ARRL. We reminded the regional IARU meeting on Murter 2005, as the very beginning of serious Croatian accession to the international activities in the IARU Region 1. He liked Murter so much, that last year he took his wife on vacation there and rented a house. He printed on his QSL card 9A/K1ZZ the view of Murter, seen from the window. The result of the first regional meeting of the IARU in Murter was, that Croatia was given the organization of the General Assembly of IARU Region 1 in 2008, that we have a member of the Executive Committee of IARU Region 1 in three terms of office. There began also successful solving of problems with call signs and work in general in Bosnia and Herzegovina. In that occasion started also the negotiations about Croatia’s getting DXCC Manager. Unfortunately, thereby I remembered the expressed indignation of the majority of participants of the General Assembly of the IARU Region 1, held in Cavtat , because the leadership HRS at that time, denied access to all official parts of the General Assembly to me, who was actually the originator and organizer of all those activities, which speaks volumes about their mental framework and civilization level. Dave expressed great satisfaction about successful solution of the problem regarding call signs in Bosnia and Herzegovina, and about large activities of Croatian radio amateurs as well as about the large number of 9A radio amateurs participating at the next WRTC competition held in America. After the talks and the common lunch, Dave led me through ARRL and explained in details its organization and working methods and introduced me to the majority of the approximately 100 employees who work on various jobs and in various departments. Hiram Percy Maxim W1AW founded ARRL (American Radio Relay League) in1914. It is national umbrella association of radio amateurs in the U.S. As a lasting memory of Hiram Percy Maxim ARRL it uses his call sign W1AW as the call sign of central station of ARRL. This year, the ARRL uses the call sign W100AW in honor of the 100th anniversary of the ARRL. Today, ARRL is the largest organization of radio amateurs in the world with more than 161,000 members. The mission of ARRL is based on five main pillars: public service, advocacy, education, technology and membership. Starting from December 1915, ARRL has been publishing QST magazine, with monthly issues. It serves to inform the members about the latest radio amateur topics and other kind of information. In the last few years, QST has been issued in electronic form. The total annual income collected by ARRL amount to approximately $ 16 million. The work of ARRL is based mostly on annual and ongoing membership fees and on individuals’ donations, recognized by the state through tax cuts, as well as on publishing and promotional activities. Annual average is the issue of app. 26,000 new licenses and app. 10,000 exams for higher class. There is a certain trend of losing membership, so that ARRL has app. 161,000 members. The last few years have shown a slight increasing trend in membership of app. 1 % per year. The total number of currently licensed radio amateurs in the FCC database of the U.S. is app. 710 000. Over 345 000 of them have passed technical class, 163,000 of them have General class and over 130 000 have extra class. The total number of the radio clubs as ARRL members is approximately 2300. The main building of the ARRL there are the offices of ARRL leadership, the QSL bureau , DXCC office , the laboratory for measurements and servicing of radio amateur equipment, museum of old radio amateur equipment , editorial office of the magazines QST , NCJ and QEX , editorial office of the Handbook and of other literature published by ARRL .There is also a department for education and organization of exams, department for relations with the FCC, laboratory for monitoring and measuring the signal on the bands, department for issuing and design of diplomas and department for public relations. There is also well organized network system for emergency, which operates in the most critical situations, such as natural disasters. ARRL organizes an online course called „Introduction to communication in case of emergency „ which is its standard training program for radio amateur volunteers, willing to help in case of emergencies, when in their own environment the local communication infrastructure fails. I saw in the ARRL QSL bureau, that the box with QSL cards for Croatia was very well filled. The annual turnover of QSL bureau covering exclusively international cooperation is app. 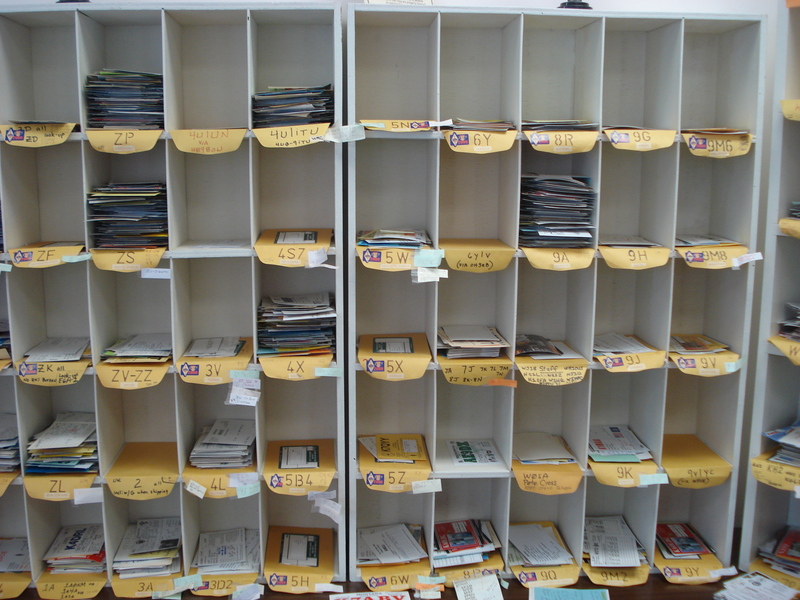 1.5 million of QSL cards. Since 1935, ARRL DX Century Club (DXCC) program is one of the standards that indicate operating capabilities and technical quality of radio amateurs all over the world. Database Logbook of the World has app. 467 million registered two-way contacts (QSOs) and app. 82,000 licenses issued for work with LoTW. ARRL, as an organizer of several major international competitions, collect annually an average of approximately 26,000 logs. After the visiting of the main building, Dave took me to a small building built in the thirties of the last century, which is located in front of the main building. Around the building there are pillars of the antenna systems. That building contains the workplaces with radios, amplifiers and computers to work on all bands. There is also an entire wall full of radios and amplifiers which are connected in the way that ARRL can transmit simultaneously on all amateur bands in CW information to all their members all over America. Dave left me at a workplace where I could work at 14 MHz. I worked under the special call sign W100AW, used in occasion of the 100th anniversary of ARRL (1914-2014). In less than an hour’s work, I had a big pile-up and I made a hundreds of QSOs with stations mostly from Europe, but only with two of them from Croatia. I had to stop working although I was called by hundreds of stations, because the ARRL had to start its broadcasting of official information for its members. During my visit to ARRL, I met Harold Kramer WJ1B, ARRL Chief Operating Officer, whom I had met before in Friedrischafen. 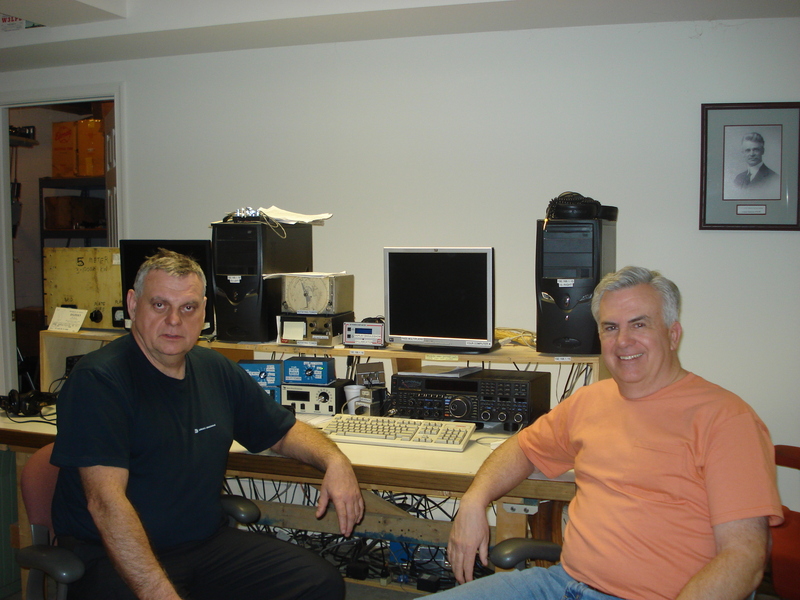 Harold reminded me that I discussed with him, the possibility of getting a DXCC Manager for Croatia, an issue that was successfully realized a year later. After the whole day I spent in ARRL, I said good-bye to Dave and to the other employees of ARRL, and thanked him for extraordinary hospitality. It was great honor for me to be a guest in the largest and best organized radio amateur organization in the world and to work under the special call sign in occasion of their 100th anniversary. In the evening, after the visit, I came back to New York. This was the end of my radio amateur visit to America and the start of my of non radio amateur part of the visit. After this stay in New York, I went to Washington for a couple of days and returned to Zagreb.